Public bush camping has closed for the season. We will re-open December 2019. 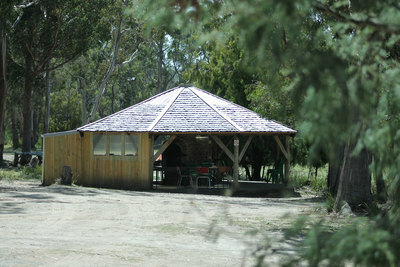 Escape the hustle and bustle of the city and nestle into a peaceful bush setting. 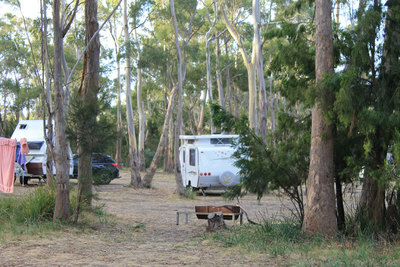 Our campsite is just too good to keep secret, so from December 1 to March 31, we open the gates to the general public. 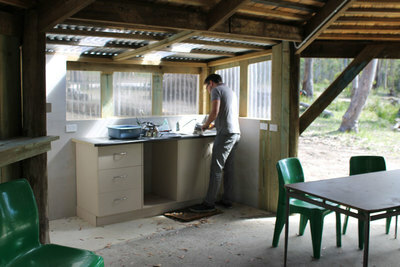 Whether you are touring Tasmania, or just looking for a quick getaway in the bush, this is your perfect location. Just 15 minutes from Hobart, our bush campsites are caravan, campervan, motorhome and tent friendly. A limited number of powered sites, as well as plenty of unpowered sites are available, all adjacent to amenities blocks, freshwater supplies, washing machines, campfire circles, and even a camp kitchen featuring a wood-fired pizza oven. 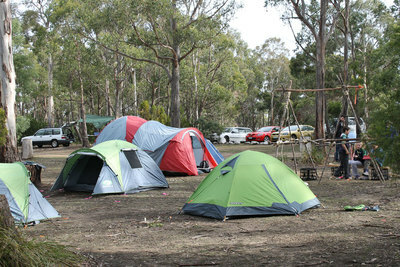 Powered sites : $25 per night, up to 2 guests. $10 per extra guest. Unpowered sites: $10 per night per guest.